Children suffering in any form will always cause a reaction from parents and making the right choice isn’t always easy. It was no different when Dr. John Jeffries inoculated children at the hospital on Georges Island near Halifax, Nova Scotia in the eighteenth century. In 2018, parents are fearful of giving their children vaccinations, just as parents were fearful of inoculation in the eighteenth century, but both of these practices can save children’s lives. A smallpox epidemic in Nova Scotia took place during the years of loyalist migration in the late 1700s; sickness was inevitable for most children in this period. During the American Revolution, Dr. Jeffries left Boston with the British army and moved to Nova Scotia after declaring his public trust in the King. He was a military medical practitioner in Nova Scotia between the years 1776 and 1778, during which time there was a large smallpox outbreak. Dr. Jeffries was able to save many children’s lives by performing inoculation. 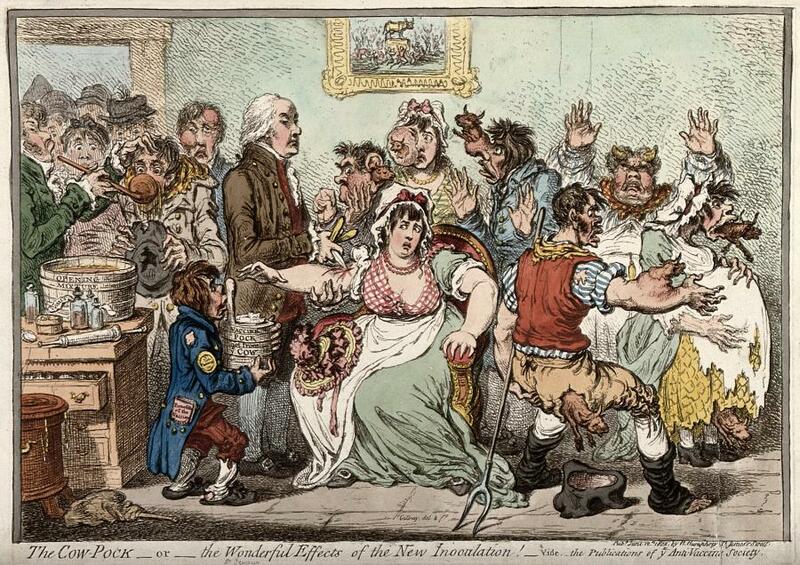 This 1802 caricature of Edward Jenner vaccinating patients against smallpox using cowpox (a procedure pioneered by Jenner in 1796) demonstrates the fears found among the population about new medical techniques. During the late eighteenth and early nineteenth centuries smallpox was a major epidemic, especially among children. Smallpox was a disease that most loyalists would have known about from the American colonies and with Dr. Jeffries' practice of inoculation for children, they had a way to defend themselves from the virus. Although those who contracted smallpox and survived were usually immune, smallpox was one of the most feared diseases due to its high illness and mortality rates; it was infectious and caused fever along with eruptions or pustules that could lead to scarring or blindness. Because of the nature of smallpox and the severity of the outbreak in Nova Scotia during the 1770s, surgeons and physicians had to work around the clock to inoculate as many adults and children as possible. Dr. Jeffries’ own explanation of how he inoculated as follows in Allan Everett Marble’s book, Surgeons, Smallpox, and the Poor: A History of Medicine and Social Conditions in Nova Scotia, 1749-1799: "'[I] used a lancet moistened with the [smallpox] pus, and made two or three scratches with the infected lancet'", or "'[I] used a bit of [contaminated] thread laid on an incision.’” The purpose of the inoculation was to confer a milder form of the disease and subsequently prevent the patient from contracting natural smallpox. Dr. Jeffries worked at the general military hospital (which he also referred to as "the Garrison Hospital") in Halifax and the hospital on Georges Island to assist in smallpox inoculations which saved children's lives. 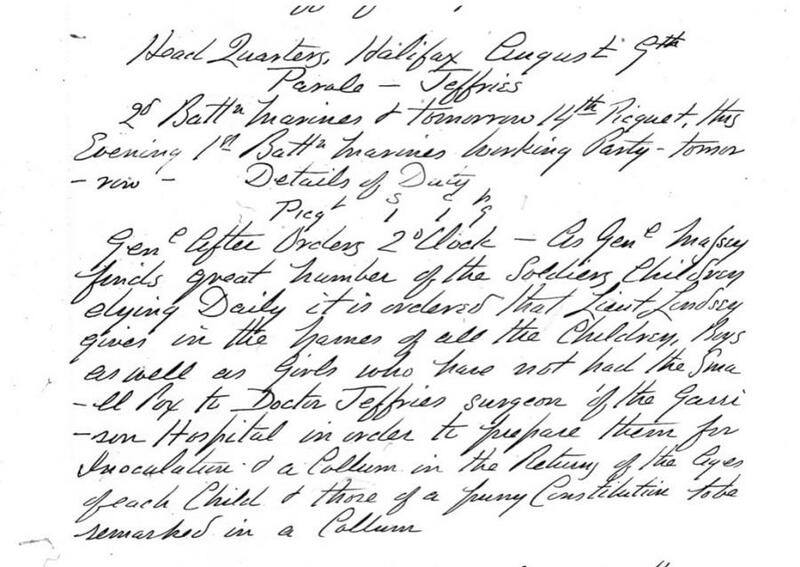 Dr. Jeffries’ Orderly Book, recorded while a surgeon at Halifax's general military hospital in 1776, shows that he was busy with soldiers’ wives and their children who came to be inoculated for smallpox. In Dr. Jeffries had the authority to elect a certain number of the soldiers’ wives to tend to the children who were inoculated and quarantined on Georges Island. This document shows the authority Jeffries had over the people who attended and worked at his hospital. It is clear in the Orderly Book that Dr. Jeffries was assertive when arranging and ordering staff and employees, demonstrating that he would have followed military protocols about hospital management and practice. Smallpox was an epidemic virus that spread rapidly among children and accounted for the most common reason for premature death in infants. It was a disease that was highly contagious but could be subsequently prevented or mitigated with the use of inoculation. Although eighteenth-century faced the same decision of whether to inoculate their children as modern parents, it was a relatively new and frightening procedure for many at the time. However, with Dr. Jeffries’ service, many children in loyalist Nova Scotia were successfully inoculated and avoided the potentially more dangerous the effects of contracting natural smallpox. Victoria Ackerman is a fourth year English student at the University of New Brunswick. 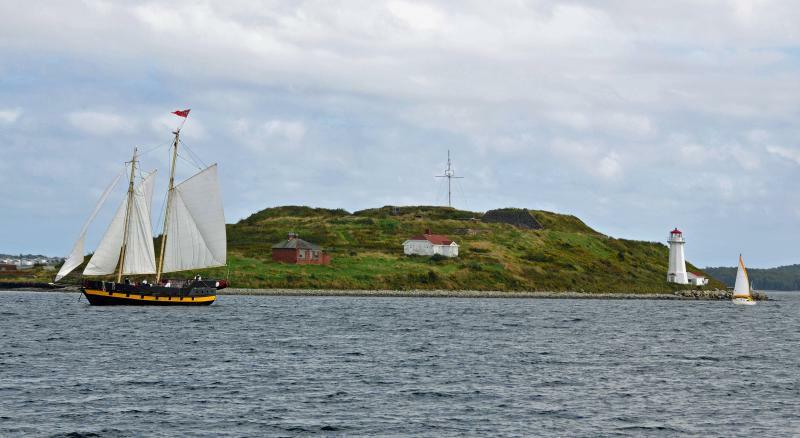 Atlantic Loyalist Connections shares research experiences involving The Loyalist Collection and relations within the British colonial Atlantic world.